Thank you in advance for your interest in supporting Fauquier Habitat for Humanity’s mission. We rely on various types of donations to improve individual lives and housing of our wonderful community. Please contact our office for details on completing any of the above. Fauquier Habitat for Humanity participates in the Combined Federal Campaign and the Commonwealth of Virginia Campaign (#45209). To learn more about making a workplace contribution contact your Human Resources Organization and request details on these campaigns. If the corporation has elected “Sub-chapter S” status, then the contribution allowed will be reported on the individual shareholders K1 and may be deducted on the individual return. If your corporation offers "Matching Funds Program" to it's employees and you are willing to participate to support Fauquier Habitat for Humanity contact your Human Resources Organization for details and forms for matching funds. We have a calendar full of fun events from Trivia Night to Golf Tournaments, just let us know how you would like to sponsor and partner with us. Your group or company can sponsor a home for a local family as Fauquier Habitat builds new homes and rehabilitates existing properties. Contact us to schedule a day to join us at a building site. A banner with your company logo will be displayed prominently in the Warrenton ReStore. We limit sign sponsorships to one company per industry so this is a great way to promote your company. If you have held the property for more than one year, it is classified as long-term capital gain property. You can deduct the full fair market value of the donated property. Your charitable contribution deduction is limited to thirty percent (30%) of your adjusted gross income. If you elect to deduct your cost basis of the donated property, you are allowed a deduction of fifty percent (50%) of your adjusted gross income. Excesses here again can be carried forward up to five years. Which method you elect is dependent on the cost basis in the property donated, your tax bracket, the age and health of the donor and whether you plan to make future contributions. Please contact your financial advisor and/or tax consultant when starting this process. Your charitable contribution is truly appreciated as we require funds not only for building but for administrative purposes as well. Fauquier Habitat for Humanity is a tax-exempt 501(C)(3) nonprofit organization. Your gift is tax-deductible as allowed by law. You may want to contact your tax advisor before giving. In-kind donation is a kind of charitable giving in which, instead of giving money to buy needed goods and services, the goods and services themselves are given. Gifts in kind are distinguished from gifts of cash or stock. The generosity of architects, engineers, planners, contractors and suppliers helps reduce our building costs, which means lower mortgage payments for our first-time, lower-income home buyers. Purchase items we need for construction -- it’s easy—simply browse our Amazon Wishlist. After you make a purchase through Amazon from the list, they will ship the item(s) directly to us. Shop though AmazonSmile to support our work! Whatever you’re ordering—videos, makeup, toys or electronics–Amazon has you covered! 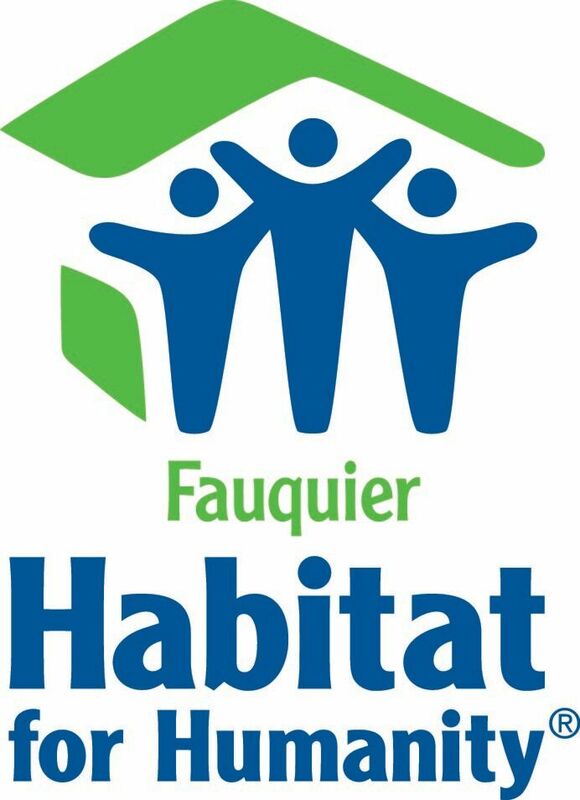 Plus, Fauquier Habitat for Humanity will earn a percentage of your purchase, at no extra cost to you! When you go to www.AmazonSmile.com, to sign up you will be ask to select a charity, type in Fauquier Habitat for Humanity and follow the prompts. You will receive a confirming email that you support us! You should see Fauquier Habitat for Humanity at the top of your Amazon order page. Thank you in advance.